Point 1) Size does matter– If you’re doing a replacement bathroom window figure out the rough opening size first. See if it’s possible (with your budget in mind) to change the opening (the more flexible you can be with the opening the more design options will be possible). If you’re building a room addition or new home design your window first and then tell your builder/remodeler what size to make the opening. 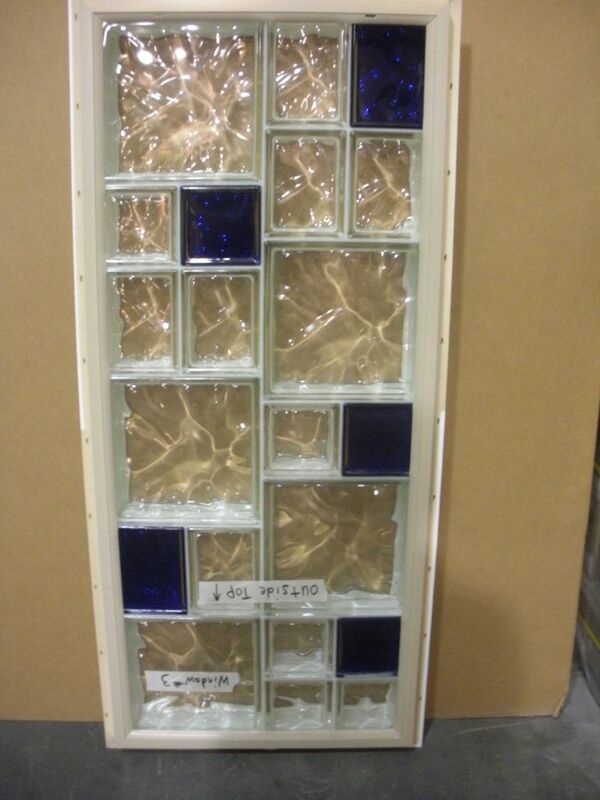 Point 2) Choose the best combination of glass block sizes – Some sizes works better together. Look at combination design of 4” x 8” & 8” x 8” sizes or consider using 6” x 6” glass blocks with 12” x 12” sizes. Point 3) Select the right privacy pattern – If the window is in the shower you’ll generally want the highest privacy pattern (Icescapes is usually preferred here). If your bath window is in the bathroom area a moderate privacy (Wave) pattern will work. Point 4) Jazz it up with colors and frosted glass blocks – Add splashed of color to the window – available in jewel tones, earth tones and kitchen and wine series. The cool thing is you can mix and match different colors within the same window design. For a softer more muted look the frosted glass block can provide privacy and a relaxing look. Point 5) Framed or frameless – that is the question – A framed glass bathroom block window is perfect for new construction or room additions. 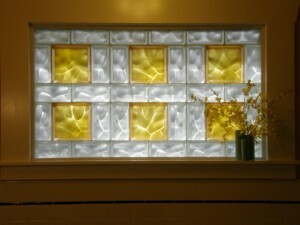 A frameless glass block bath window is usually best for remodeling. Point 6) Order a premade window – For improved quality, ease of installation and time savings get a prefabricated window that can be set in place as one unit. Point 7) Mix up glass block sizes in other areas – Unique sizes and designs should not be limited to the bath or shower window. Consider using the same design approach in a shower wall, basement or garage window – basically anywhere around your house of commercial building you’re looking to dress up. Do you need help with a bathroom window design? If so – comment below. If you’ve got some words of wisdom to share – fantastic! Share your thoughts. To get help with your glass block bathroom window or remodeling project visit Columbus Glass Block (614-252-5888), Cleveland Glass Block (216-531-6363) or Mid America Glass Block (513-742-5900) of Dayton and Cincinnati and Eastern Glass Block (973-777-8989)of New York and New Jersey. Frank – we can help you with this shower project. Feel free to check out our web site – http://www.columbusglassblock.com and then contact us for additional help.